Develop brochure to assist sales team. Commercial property managers and building owners. 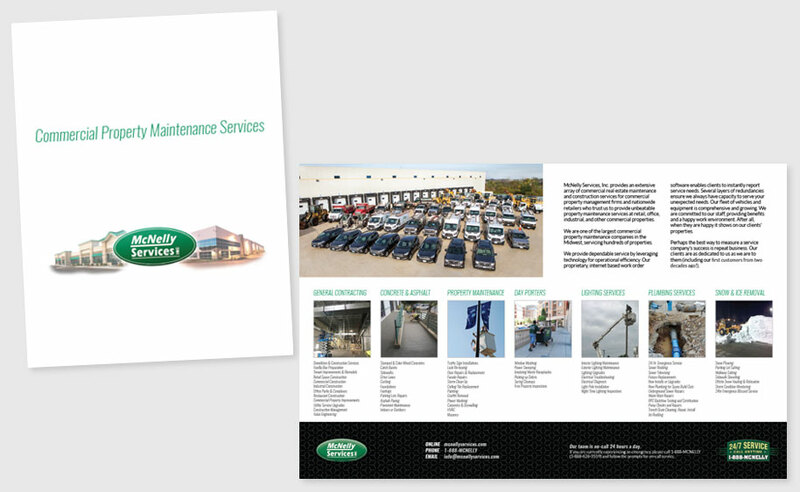 We provided copywriting, design, branding, and printing. The piece is consistent with McNelly's website and business cards.